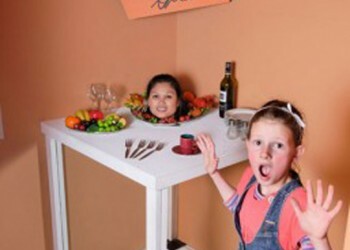 A Maze’N Things is an Award-winning theme park located on Phillip Island. 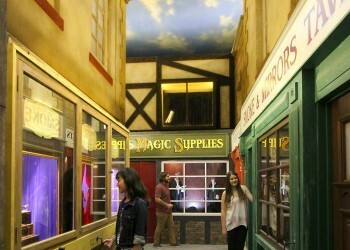 It’s a magical world of illusions, puzzles, adventure, mazes and mini golf, providing hours of fun for the whole family. 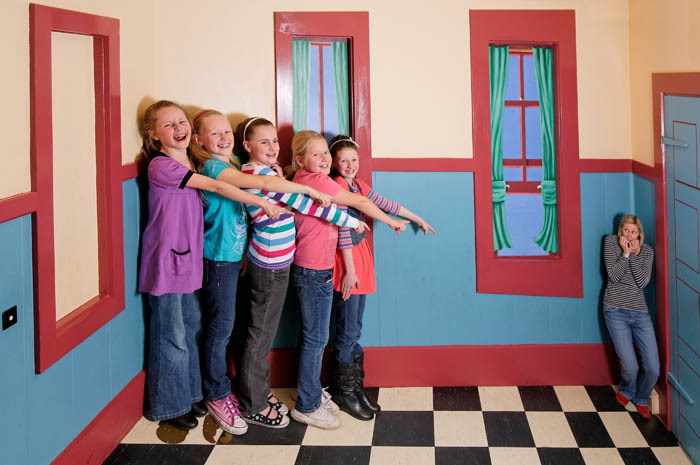 You can be shrunk in our shrinking room, become lost our maze, fall down the “Look Out” slide, discover “The Amazing Karel’s” Magic Manor and plenty of other activities to test your motor skills, perception and memory. 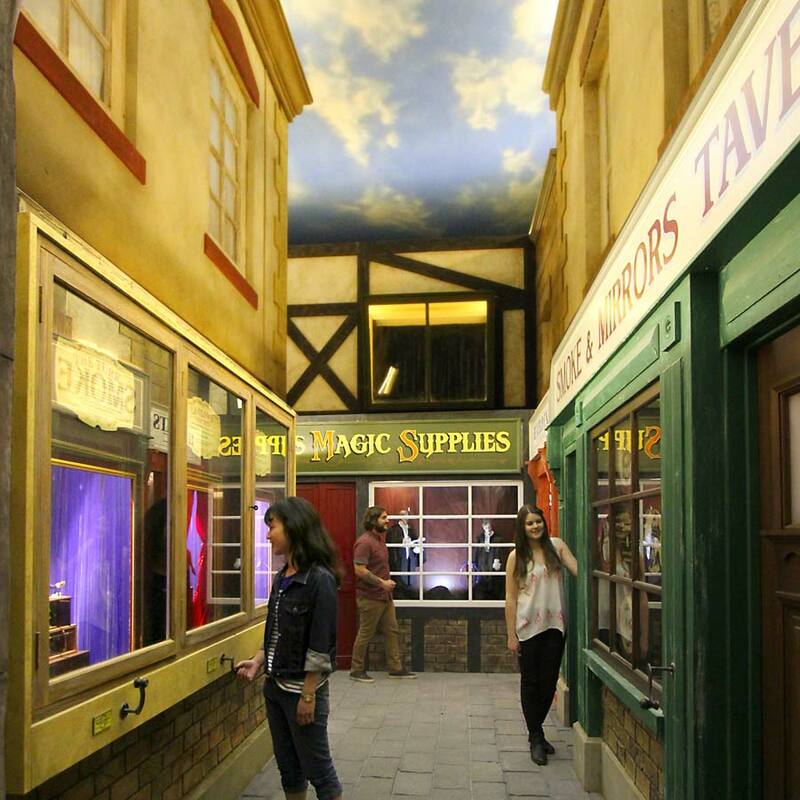 All our attractions are stimulating and require you to get involved in some way. Whatever you decide to do, we know that you’ll be laughing all the way. 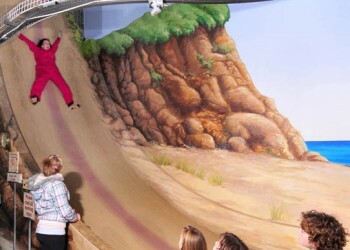 Challenge your friends and family on our 19 hole Maxi Mini Golf course, suited for the best or even the worse golfers. Climb and explore new heights on the Skytrail a new concept in high ropes courses, Or take a break at our Puzzle Café serving a variety of light lunches, snacks and great coffee, where you can test yourself with a fantastic selection of brain teasers and puzzles. There are also lots of things for kids to do by themselves if parents want to sit back and relax afterwards. 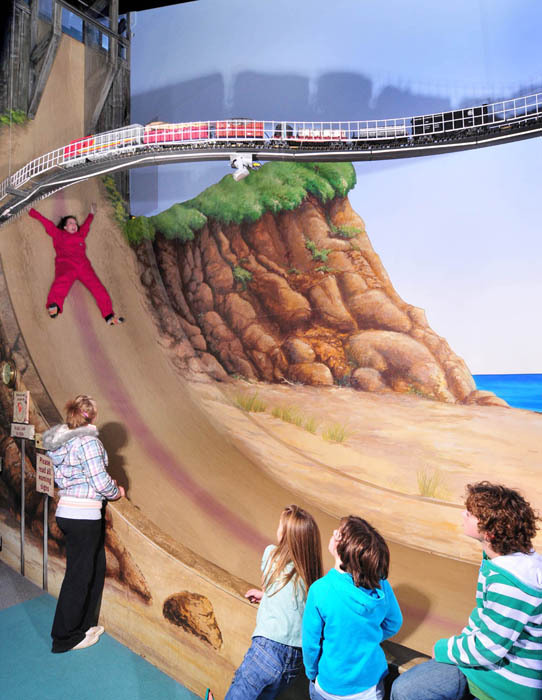 20% Discount to play Maxi Mini-Golf and bonus discounts available on the SkyTrail.